kitab offers a support network for parents and family members of adolescents and young adults who struggle with islamic identity questions and turn to more extremist (or nationalist) Islamist Organisations. Through counselling kitab can help parents, family members but also teachers and social workers who observe this behaviour, to deal with the situation and to work together with the clients to find ways to give back trust and cooperative attitudes by strengthening the family and young adolescents (directly or indirectly) within their social environment. Counselling is provided to all citizens free of charge and the services are based on anonymity. kitab is part of a nationwide initiative called ‘Security Partnership: Working Together with Muslims for Security’. In this initiative a central ‘Counselling Center Radikalisierung’ was set up which serves as a central hotline for people who seek advice on dealing with signs of radicalisation in their environment and to encourage people to speak about their worries concerning friends or relatives who they think recently became radicalized. kitab is responsible for the area of Northern Germany and people can come in contact either through the central hotline or directly through kitab. 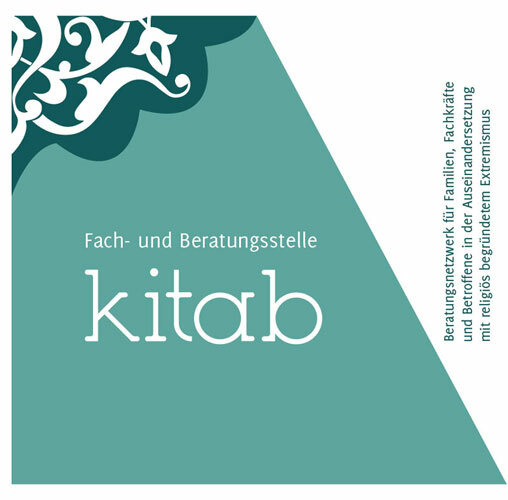 Since the beginning of 2013 kitab also provides a training module entitled ´Islam, Islamism and democracy´. Five short films are used in schools and youth services, to provide age-appropriate discussions on topics like Islamism, Salafism, the Middle East conflict, Shari’ah, human rights, gender roles, Islam & Democracy or religiously justified anti-Semitism.